The Razer Ornata Expert gaming keyboard is similar to another model we liked, and it's on sale on Amazon today. 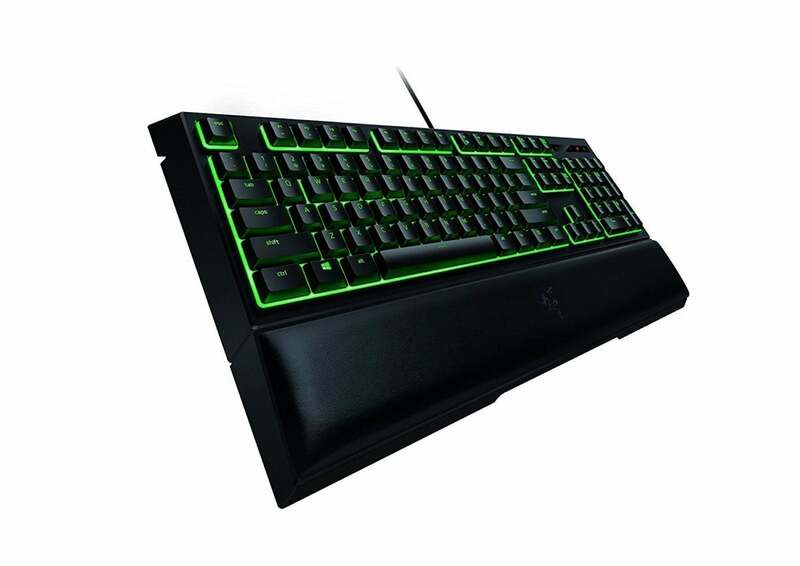 The Razer Ornata Expert gaming keyboard is on sale today on Amazon for $46.40, down from an average price of $59. PC gamers know how important a good keyboard is—and how expensive the best gaming keyboards are—so this is a significant savings. This slab has a pretty unique design, with “Mecha-Membrane” keys that combine the clicky feedback of mechanical switches with the cushiony comfort of rubber-dome keys. The keys are also backlit, with the ability to program lighting effects for individual keys. An ergonomic wrist rest attached to the keyboard is intended to provide comfort through even the longest all-night gaming marathon. Anti-ghosting technology ensures that even the most complicated commands are processed. While we haven’t tried this exact model, we gave the similar Razer Ornata Chroma 3.5 stars out of 5, with the design, comfort, and clicking effect standing out as top features. Our biggest issue with it was price, so this deal fixes that complaint. Also, the on-sale model has 4.4 stars out of 5 over nearly 150 user reviews on Amazon.